WARNING: If you think your computer has been infected with a virus, spyware or adware, it is extremely important you do not use applications or websites with personal information such as names, passwords, or banking info. You should immediately scan your system to find and remove dangerous programs from your mac. 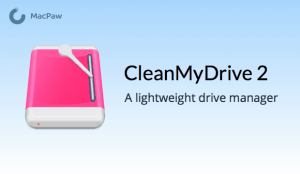 We recommend users download CleanMyMac and CleanMyDrive for free to scan their computer for any issues. Click the image below to learn more. Are you worried your MacBook has a virus, spyware or adware installed on it? A common myth in the computer industry is that Apple products “can’t get a virus”. This is a great PR move for Apple, but hurts the consumer as it simply isn’t true. The truth is that as Apple has gained marketshare in the consumer computing industry, creators of malicious programs have taken notice and begun to direct their efforts at the OSX, MacOS and iOS systems. While it is true that there are more types of viruses, adware and general spam directed at the Windows operating system, it is completely naive to think that you are 100% safe just by virtue of owning an Apple computer. If you’ve begun to notice odd behavior, slow load times and irritating popups or redirections when browsing the web then you may be the victim of a malicious program. Your MacBook can become infected by browsing unsafe websites, downloading unsafe files or clicking unsafe links. We’ll discuss how to best keep yourself safe and remove any existing types of virus or malware on your machine. Malware (a catch-all term for malicious programs running on a computer) can drastically reduce the power and efficiency of your machine. Often time, these programs will run processes in the background that perform a multitude of tasks. It can be anything from copying keystrokes or sensitive data to turning your computer into a “zombie” node. The end result is that it steals processing power away from the core functions of your computer and can leave you with a machine that has drastically reduced performance. If you’ve noticed that your computer is running slower than it normally does, this can be a sign that you’ve accidentally installed a malicious program. Another symptom of infection is odd behavior. Specifically, popups when you do not expect them or redirection while using your internet browser can indicate that you have malware installed as well. Redirection can occur when malware takes over your default search engine and forces your search queries to redirect to advertisements installed by the malware creator. You should be aware that viruses and malware on your MacBook can hide in various places. This means they can be background processes, in your browser, from a file you may have downloaded, and more. It is important to search everywhere possible for lurking threats as these programs can be exceptionally well-hid from the average user. It will not be as obvious as opening up Activity Monitor and removing a running process. The best way to check if your MacBook has a virus, spyware or adware installed, we recommend using CleanMyMac 3. This piece of software will scan your computer and check for any malicious programs that may have been installed and are hiding in background processes. You can click the image to the right to download CleanMyMac3 for free and immediately scan your system for viruses and malware. 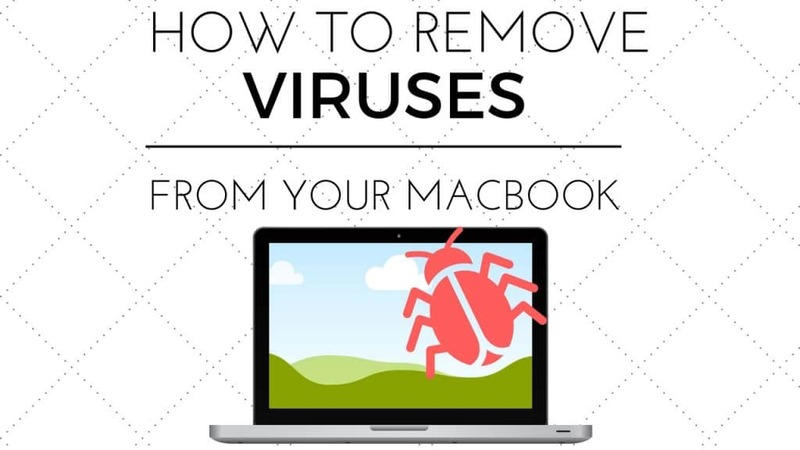 If you have identified that you do have a MacBook infected with a virus, spyware or adware programs, you will want to clean your system as soon as possible. You should also make sure to stop using sensitive websites, programs or data until your computer is clean. These programs can track keystrokes and consequently are able to capture sensitive data. This means you should definitely avoid logging in to your online banking website, sending emails or entering any passwords or personal information on your computer. In order to clean your system, you need a comprehensive solution. Again, we recommend using CleanMyMac 3 to identify and contain any threat on your system. We’ve found this software to be one of the best in finding and removing malicious programs on Mac computers. It is important to note that viruses, malware and adware can exist on external devices as well. If you use an external hard drive, USB drive or SD card with your MacBook, you will need to scan those peripherals as well. They often can be the host for viruses and malware and many people neglect to scan these devices for problems. CleanMyDrive 2 (made by the same company as CleanMyMac) offers this capability to scan any external drive you have connected to your MacBook. These two programs together provide an extremely comprehensive solution to finding and removing viruses, spyware and adware from your MacBook. This is another free utility you can use to ensure that you are 100% protected against viruses and malware. Click the image below to download CleanMyDrive 2 for free. By now, you should have a clean system and removed any viruses on your MacBook. But it is just as important to stay secure in the future and prevent this from happening again. It is highly recommended your continue to scan your computer with CleanMyMac 3 and your external drives with CleanMyDrive 2 every few days or weeks. This can keep you safe from any threats that come up in the future. 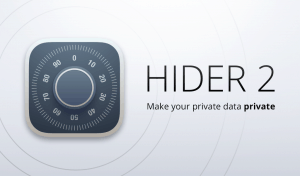 We also recommend users install Hider 2. This application allows your encrypt and secure data on your Mac. This means that even if you do get another virus on your Mac, the malicious programs will not be able to read files or data encrypted with Hider 2. This is a great last-line of defense against Mac adware or spyware such as key loggers which attempt to steal sensitive info and personal information. It is also important to practice safe browsing habits. Do not visit websites you do not trust and do not download files form sources you do not trust. If you want to download a file but are unsure of how safe it is, use a tool such as VirusTotal which will scan the file before you download it and alert you if any malware or viruses are found in it. Always remember to keep your browser up to date and install Apple security updates as soon as they roll out. With these strategies, you should be able to keep your MacBook free from any viruses, spyware and adware.